60 Minutes or Less. No Appointment Necessary. Maintaining your INFINITI is important. And so is your time. 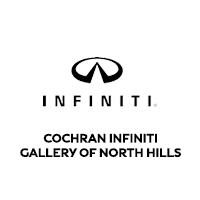 At Cochran INFINITI Gallery of North Hills, we know your time is valuable. That’s why we offer INFINITI Express Service. Designed to deliver the same expert service you trust while exemplifying the art of efficiency, each Express Service is completed within one hour or less. You’ll also receive a complimentary multi-point inspection and vehicle wash with every visit. There is no appointment necessary. Simply stop into our Wexford location to experience this quick, convenient service. Cochran INFINITI Gallery of North Hills regards the safety and security of our customers and their families as extremely important. To learn if your INFINITI has been identified for specific service campaigns or recall actions, please retrieve the vehicle’s identification number (VIN) and click here.